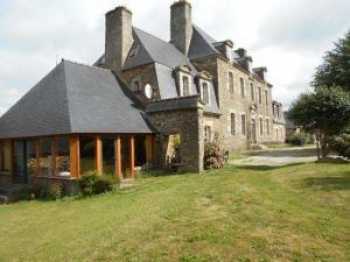 Beautiful property of the 18th century located in the quiet of the countryside near Le Quillio, on a beautiful park of 7,766 m2, possibility of having more than 500 m2 of living space. Le Quillio is one of the prettiest villages between two lovely lakes. - upstairs: 7 bedrooms, two bathrooms and two toilets. Outbuildings: hut, wood room and two attics above. Joinery double glazing, sanitation all in the sewer. bedrooms: 13, 11.5, 14, 4, 14, 12 and 10m2.